Have you found an online vendor selling Mount Gilboa Triple Distilled? I'm almost entirely sure it's a separate firm? 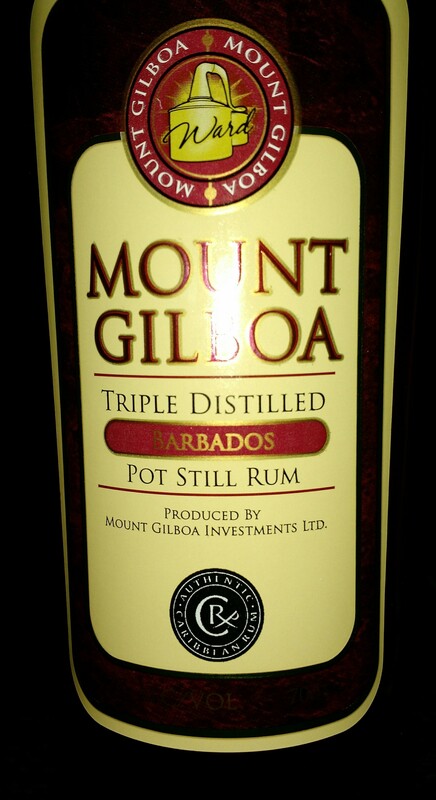 As noted in http://www.refinedvices.com/mount-gilboa, the distillery provides Mount Gay rum, but Mount Gilboa is (in my opinion) a different animal. The tripple pot-distilled process actually makes for quite a complex pallate. You're going to enjoy this one. Not as bold as Smith & Cross navy rum but unlike many rums you'll come across. It's not an old aged ultra refined sipper but it's pleasant on ice, but where it come alive is how it interacts with other mixers I like lime, orange, cola and so on. Bring a big punch to your rum punch, make cola seem top shelf, and also good with a splash of ginger ale on ice. A great addition to your Tiki bar. 40% ABV. 100% pot-distilled. Lightly aged notes with some caramel and a touch of cherry. Very much like a Last Ward lite. Strange gassy, rubbery odor keeps things interesting. Not bad at all; a nice foil to Mt. Gay's blended rums. Tried the Mount Gilboa on a sunny Sunday afternoon. Very cheap looking bottle and label design. Light golden color. Strong fruitiness combined with alcohol smell to the nose. Vanilla mixed with spices and fruits to the palate. Mediocre burn at the end. Not exceptional, but a good introduction to a light unaged rum. This one wasn't for me. It had an odd aftertaste; almost medicinal. This is a whole other beast from the Mount Gay rum. Triple pot distilled with zero column influence. I wouldn't go so far as to say it's inline with Jam pot rums such as Smith and Cross though it does have plenty of kick, especially for a watered down 40%. Though it's purely pot distilled there are none of the funky esters that come from the muck of a dunder pit. Yet the same fruit notes found in Smith and Cross are here as well, burnt banana, pinnaple and orange zest. Initial nosing is a bit overpowering and I can maybe see why the pedestrian proof but with just a short amount of time it opens up and softens. Compared to other sub $30 rums this is really good and surprising in profile. Down the middle leaning towards the dry side. aroma: fruit, kruiden, vanille, heftig. smaak: zoethout, kruiden, vanille, alcohol en karamel. nasmaak: zoetig, kruiden, karamel, droog. Smaakvolle, zachte, 100% koperen pot still Bajan rum. 3x gedistilleerd en 4 jaar gerijpt op Bourbon vaten. Een beetje jong nog dacht ik maar toch al interessant en zacht genoeg om puur te drinken. Een prima traditionele rum zonder toegevoegde suiker, echt top!